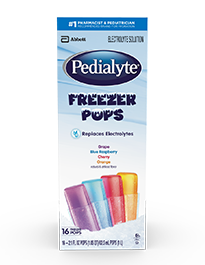 Spring break, a family vacay, or that business trip—travel brings many opportunities for dehydration. Unfamiliar foods can leave you or your little one stuck in the bathroom; the dry air of planes may leave everyone dry-mouthed; too much sunshine can turn you all into cranky-pants; and margaritas by the pool may leave you with a headache. 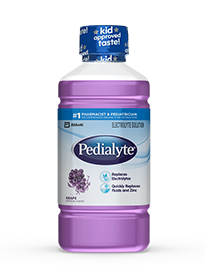 But there’s something everyone can do to feel better fast—rehydrate with Pedialyte®. Traveling to exotic or new locales means eating exotic or new foods, which may not be prepared the way you or your little one’s stomach is used to. And trips on a cruise can mean close quarters, making it easier for stomach bugs to spread. Any type of stomach upset can lead to dehydration if diarrhea and vomiting cause the body to lose fluids and electrolytes. Running around on the beach, long hikes, or an afternoon spent rock climbing out in the sun—all of these warm-weather adventures can leave you or your kids drenched with sweat. And too much perspiration can lead to dehydration. Fatigue, headaches, dry mouth, and dry skin are just some of the dehydration symptoms that can come from being in the lower humidity of a plane cabin or a train car for long periods of time. 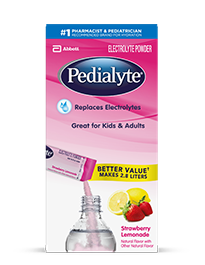 Whatever challenging moments of dehydration lead to dehydration during you or your family’s travels, See the Lyte and rehydrate with Pedialyte to feel better fast. cooler to keep them chilled on the road!